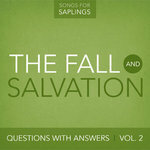 "Questions with Answers Vol. 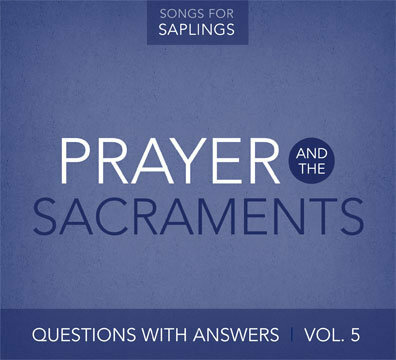 5: Prayer and the Sacraments" takes listeners through the Scriptural basics of prayer, baptism and the Lord's Supper. The songs about prayer focus on what prayer is and to whom we should pray, along with examining the different parts of The Lord’s Prayer. 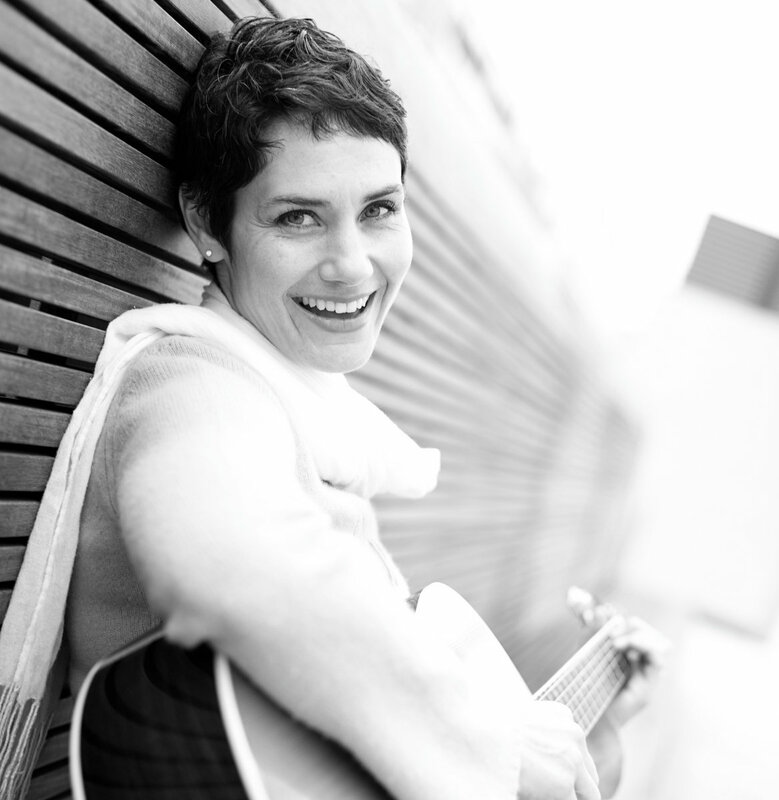 The songs about the sacraments teach the meaning and administration of baptism and the Lord’s Supper. 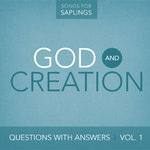 Did you know Songs for Saplings music is being translated and used to share God's great truths around the world? Track Name: What is Prayer? Track Name: In Whose Name Should We Pray? 2. In Whose Name Should We Pray? The man Jesus Christ, the man Jesus Christ, our mediator. One God and one mediator between God and man. For there is one God and one mediator between God and man. We should pray only in the name of Christ our Mediator. Track Name: What Guide Has Christ Given to Teach us How to Pray? 3. What Guide Has Christ Given to Teach Us How to Pray? Like the pagans, they just babble, badadada… don’t babble. Oh, the depth of the knowledge of God! That the message of the Lord will be spread rapidly. That the message of the Lord will be honored as it was with you. Established on the earth as it was with you. Woah, doo, be doo, be doo, as it was with you. Doo be dumm, be dumm, Thy Kingdom come. Praise the Lord, you His angels, you mighty ones who do His Word. Praise the Lord, you His angels, who obey His Word, praise the Lord. Praise the Lord, all His heavenly hosts, You His servants who do His will. Praise the Lord, all His works everywhere in His dominion. We pray that men on earth may serve God. As the angels in Heaven serve God. Thy will be done on earth as it is, as it is in Heaven. Make us strong enough to resist if we are. Track Name: What is a Sacrament? 11. What is a Sacrament? Jesus gave us two sacraments, we must be baptized. We must share in the Lord’s Supper, we must be baptized. This is My body, which is broken for you. Do this, do this in remembrance of Me. And applied to the believer, you and me. Badum-dum-du-di-di, applied to the believer, you and me. 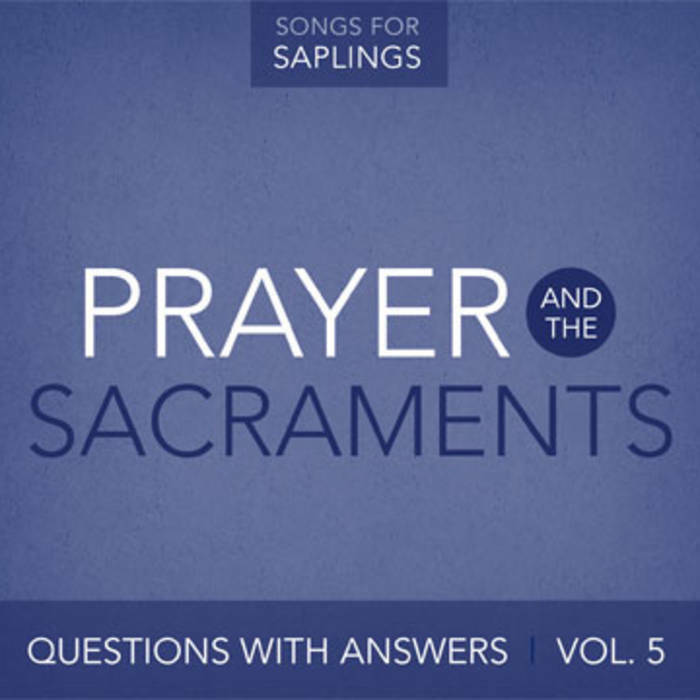 Track Name: Who Gave the Sacraments? Track Name: Why Did Christ Appoint These Sacraments? 13. Why Did Christ Appoint These Sacraments? Sacraments, the sacraments, Christ did appoint the sacraments. Sacraments, the sacraments, why did Christ appoint these? Christ appointed sacraments, the sacraments, the sacraments. Christ appointed sacraments to strength and comfort give. In the name of Jesus Christ. He will forgive you. Acts 2:38, He will forgive you. Track Name: What Element Is Used in Baptism? 14. What Element Is Used in Baptism? The sign, the sign that’s used in…. Union with Christ by cleansing through His blood. Track Name: What Does Baptism Represent? Track Name: In Whose Name are We Baptized? Track Name: Who Should Be Baptized? 17. Who Should Be Baptized? And for all who are far off, and your descendants after you. Track Name: Does Christ Care for Little Children? 18. Does Christ Care for Little Children? Come to Me, come to Me, let the children come. Come to Me, the Kingdom belongs to such as these. Truly I say to you, they will never enter, never enter, the Kingdom of God. Come to Me, come, don’t forbid the children come to Me. Track Name: What Is the Lord’s Supper? 19. What Is the Lord’s Supper? Of Christ’s death for us on the cross. In which, by faith we partake, we partake of His benefits. In which, by faith we partake of His benefits. Track Name: What Do the Bread and the Wine Represent? Track Name: Who May Partake of the Lord’s Supper?